Multiple beautiful rose bud druzy pearls in a row on a rustic cord in your choice of leather color. 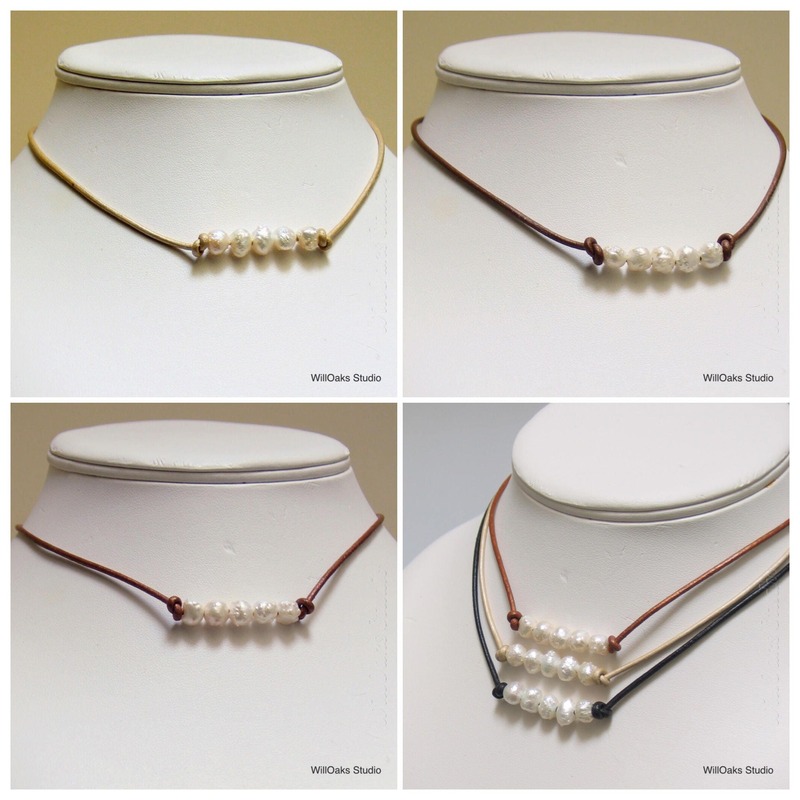 An exciting new summer freshwater pearl and leather choker fashion! 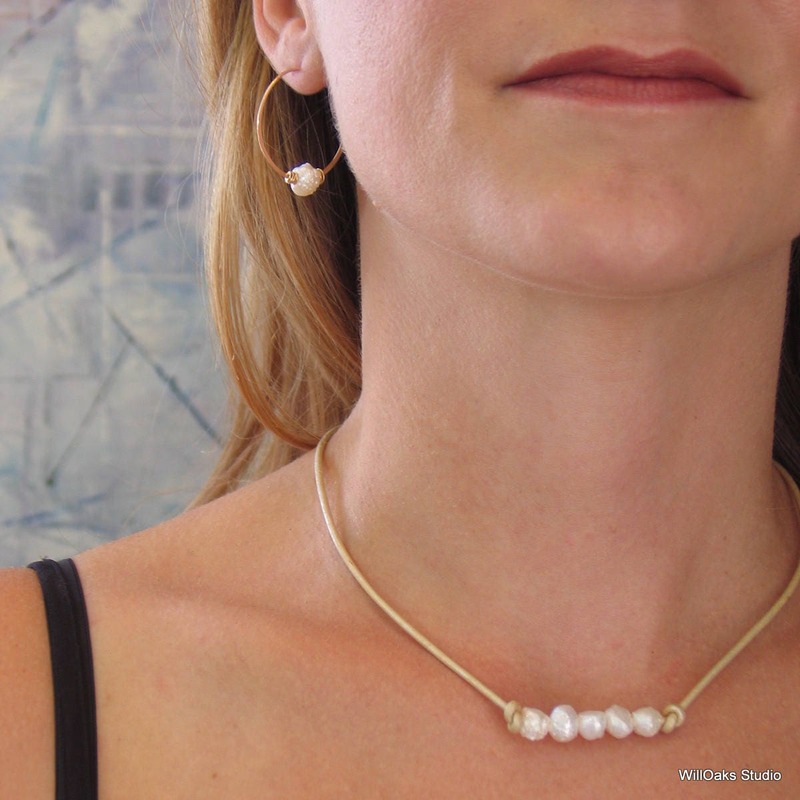 These exquisite drusy pearls, about 7 to 8 mm diameter, are natural white freshwater pearls including a beautiful lustre, but with organic shapes and textures. 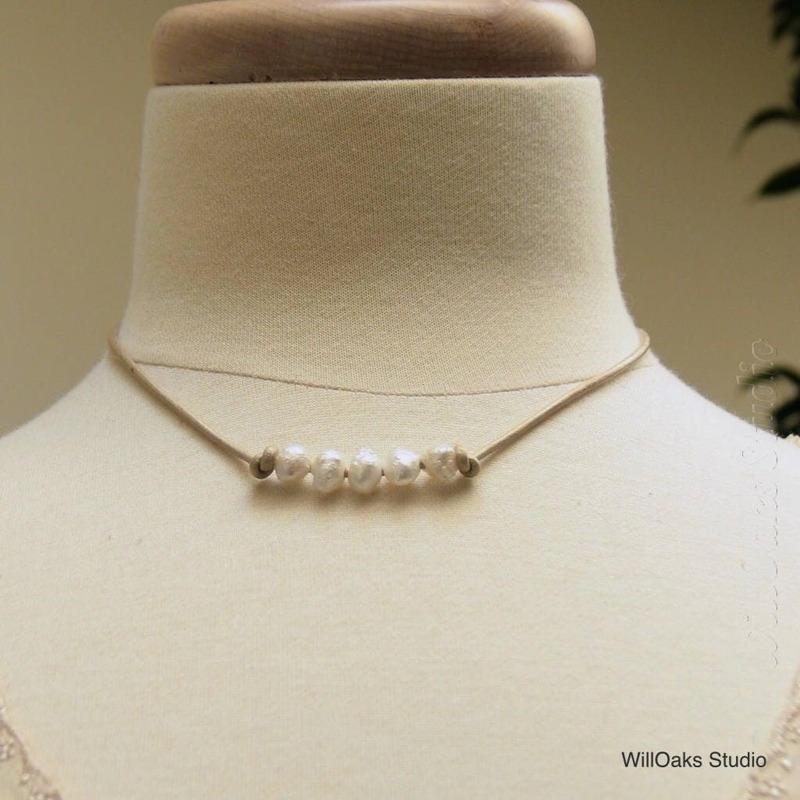 Sometimes called "rose bud" pearls, these gems from the sea are freshwater pearls specially cultivated to achieve the rugged, organic qualities in China. 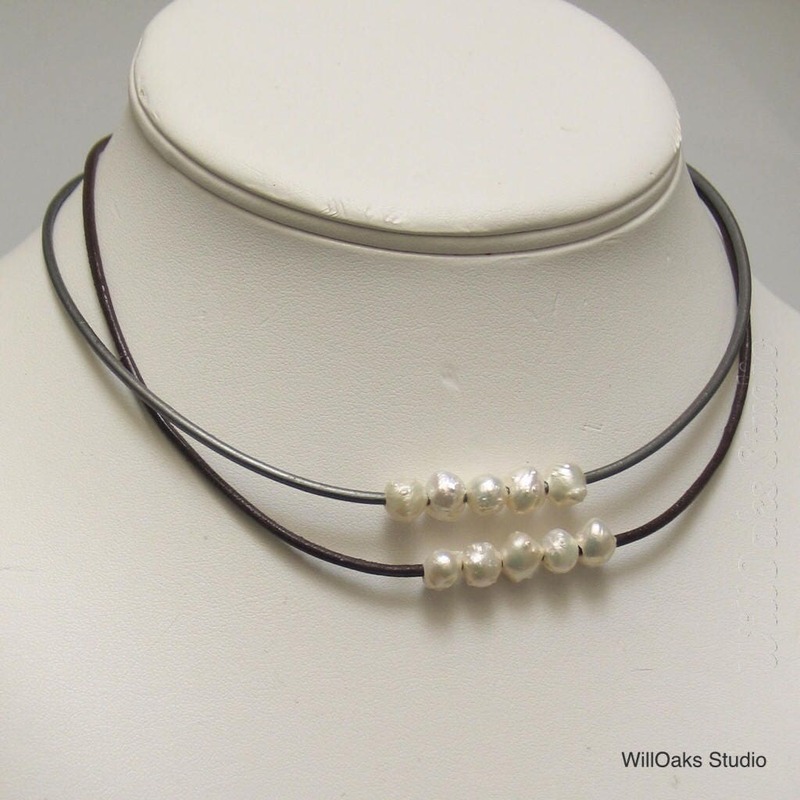 Part of my line, "Druzy Pearl Jewels Collection," five pearls are centered on a leather choker and are left free floating OR are held in place with knots in the leather. Closes with a brass spring clasp and rings bound to the leather ends with sterling silver wire. 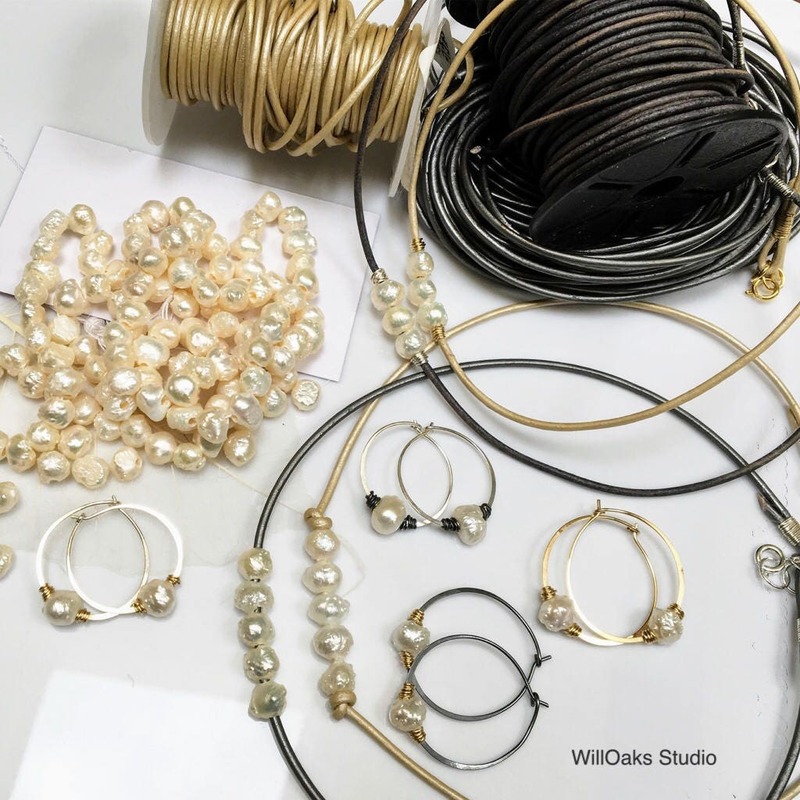 Each necklace is made to order. My "default" length is about 16.5" to 17", but I can customize this for you if you put the SHORTEST length you'd like in "notes to seller." 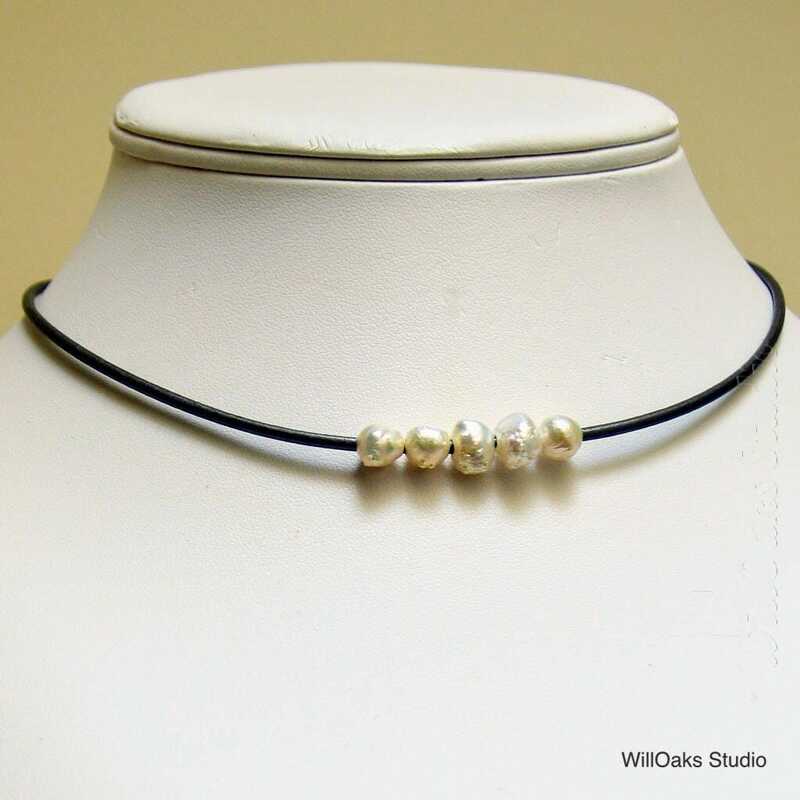 About 1/2" longer adjustment is built into my choker design.